The Ukrainian Government on Wednesday will register Wojciech Balczun’s resignation letter, where the official states he quits on personal grounds, Prime Minister Volodymyr Groysman said at a government meeting on Wednesday, August 9. “We will consider Woijciech Balczun’s resignation letter today. He made this decision personally, and I respect his decision. Whataver may be said by anyone, throughout this year there have also been positive changes. I want to thank him for his work. I understand that he has been working in difficult conditions,” Groysman said. At the same time, Volodymyr Groysman expressed hope that Balczun would take up the position of adviser to the head of the company board, that's due to the international projects, which he earlier began to implement. The prime minister added that First Deputy Minister of Infrastructure and chair of the supervisory board at Ukrzaliznytsia Yevhen Kravtsov will be appointed the company’s acting chief. Groysman stressed that Kravtsov will be appointed temporarily until the new CEO is chosen in a new competition which has to be announced. Read alsoUkrzaliznytsia posts $4.7 mln in net profit in H1 – CEO Balczun “We’re focusing on the result. Among the tasks of any new manager is the completion of corporatization process at Ukrzaliznytsia and carrying out the corporate management reform,” Groysman tweeted. As UNIAN reported earlier, the Cabinet of Ministers has appointed former head of the Polish Railways Wojciech Balczun to the post of Chairman of the Board of PJSC Ukrzaliznytsia on April 20, 2016. 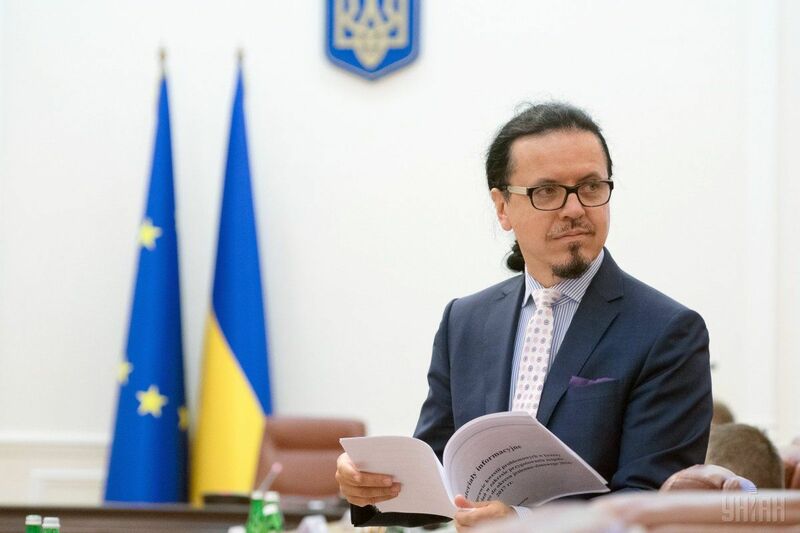 Read alsoInfrastructure Minister insists on regaining control over Ukrainian RailwaysSince late 2016, Infrastructure Minister Volodymyr Omelyan has repeatedly accused Balczun of being unprofessional and dragging with reform within the company. Groysman said that the decision by the Cabinet of Ministers to subordinate Ukrzaliznytsia directly to the Government was made in order to prevent the company from becoming a hostage to personal ambitions of different officials of various ranks.